The organization stands in solidarity with those that are unjustly being detained across the country. Miami, FL (February 4, 2017) – On Friday, January 27, President Donald J. Trump signed an executive order banning citizens for 90 days from the following countries: Syria, Iran, Sudan, Libya, Somalia, Yemen and Iraq from entering the United States. This includes people who are legal residents, hold dual citizenship, and refugees. As a sorority built on pillars of diversity and unity, we join the millions of Americans and citizens around the globe who denounce the racist and xenophobic consequences caused by this unconstitutional executive order. Gamma Eta Sorority, Inc. stands in solidarity with the individuals and families that are being directly affected. Our strength as a nation is in our cultural diversity and the continuous efforts of our leadership to support what is right. We are fully committed to speaking up in support of the freedoms, dignity, identity, and futures of our brothers and sisters seeking refuge and new opportunities from across the globe. The new chapter was inducted with 7 members. Gainesville, FL (March 2, 2016) – Gamma Eta Sorority, Inc. has announced the addition of its new alumnae chapter Alpha Chi Zeta (AXZ) today. AXZ will work alongside Gamma Eta’s other alumni chapters Alpha Chi Alpha (AXA), located in South Florida and Alpha Chi Delta (AXD), located in Northern Arkansas, to provide a support network for undergraduate chapters. Welcome the 2015-2016 National Executive Council! We can’t wait to see what these ladies have in store! There is an old saying that I am sure we’ve all heard before, “friends are the family we choose.” This couldn’t be more true about my best friend, Tema. Tema and I are two months apart and I have been lucky to call her my friend since the day I was born. 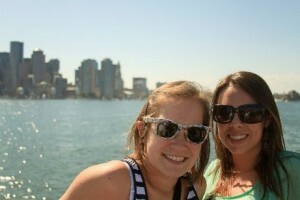 In fact, because we grew up together, in many ways she is more than a friend-she is like my sister. 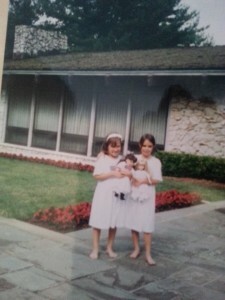 Growing up, Tema and I spent every summer together. She was and still is the ying to my yang. From American Girl dolls with matching outfits, to boy bands, to actual obsession over boys and their mysterious ways, Tema has been there for everything. Through the years we’ve laughed a lot, cried a little, and always had each other. As we’ve gotten older and settled into our lives as adults, we haven’t seen each other as often as we should, but no amount of time or distance can ever really keep us apart. On August 30, 2014, Tema called to tell me something that would change our friendship forever-she was diagnosed with breast cancer. Tema is 25 years young. 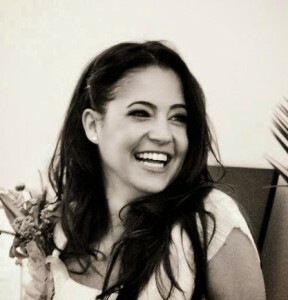 She is a beautiful, intelligent, fun-loving civil engineer who works with LEAD green buildings to help our enviornment. She has an amazing family, a great boyfriend, friends that adore her, and a smile that is contagious. She is tenancious, terrific, tremendous, Tema. Only now, she is Tema with breast cancer. However, it is important to recognize that Tema is so much more than cancer. She is not cancer, cancer will not take over her life, and she will not let it dampen her resilient spirit. We know that cancer won’t be a defining moment for Tema. If anything, it will be a blip on her screen of life-something tough that she went through but overcame. I can’t wait for the day that we find out she is in remission and is officially a SURVIVOR. Until then though, she will keep being my inspiration and my hero. In honor of our national philanthropy as a sisterhood, and with her permission, I wanted to share Tema’s story. Tema is just like us, and honestly, her story is reminder that cancer doesn’t discriminate and it can affect any one of us at any moment. As a Gamma Eta at the University of Florida, I will always remember the fundraising events that we put on for breast cancer awareness and research. I knew then that it was an important and admirable cause to support at the time, but I never imagined that it would hit so close to home, and especially not when we were twenty-somethings trying to figure out the rest of our lives. When Tema told me she was diagnosed with breast cancer, I knew I had to do something. For me, that something was sharing her story with our sisterhood and putting a face to the cause that we always support as Gamma Etas. This year I am asking our sisterhood to think of Tema as we rally for Breast Cancer Awareness Month. Keep her in your thoughts and prayers as she goes through her first round of chemo, and adopt her fighting spirit and unrelenting optimism. They are two of her best qualities. This month is only the beginning of her road to recovery, but I am hoping that just like she is my adopted sister, we as sisterhood can adopt her for our fight against breast cancer. On Saturday, April 26th, the lovely ladies of Gamma Eta’s Delta Chapter decided to take a break from their studying and give back to their community. 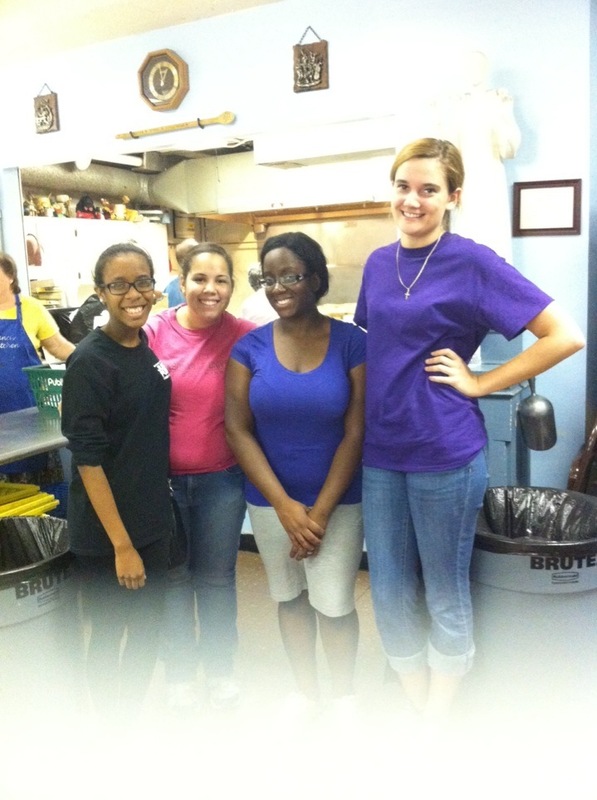 The ladies volunteered at the local soup kitchen called St. Francis Soup Kitchen. Their experience touched them emotionally and also enjoyed helping those in need. Samara Generals, Delta Chapter’s president said, “I believe that the soup kitchen event allowed for us to gain a little more appreciation for the things we have and to realize that even in our most financially pinched times, we can reflect back on this experience and realize that we are still a lot more fortunate than others.” The soup kitchen revealed a variety of people; from the elderly to the very young. Prayers were made over food and peace and unity as a community was witnessed. St. Francis has been serving Jacksonville’s community every Saturday for 30 years. Originally known as St. Anthony’s Bread For the Poor, they started their soup kitchen with sandwiches and water bottles. Over the years, the menu expanded and a clothes closet was added. These ladies not only was given the opportunity to give back to their community but they were also given a gift in return. They were able to go home with a smile on their face knowing that they made someone’s day. This event has also made their hearts lighter knowing that they can (and we as readers) can appreciate what we have around us and who we have around us. This chapter has learned to lean on each other more than ever knowing that they are thankful to have each other. Like our parents have always told us, it’s more blessed to give than to receive and for the sisters of Gamma Eta’s Delta Chapter, they not only gave, but also received. The money raised goes towards a numerous amount of things: research, equipment, education for the patients including diversionary activities and items, hospital beds, and cribs. 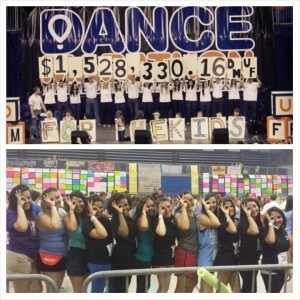 This year, the Dance Marathon raised $1,528,330.16 which gave the children of Shands that many more reasons to smile and have hope. The bond between sisters have shown greatly during this event. When they wanted to quit, they were able to depend on their sisters for motivation and with their motivation came determination. And with that determination, came the joy of not only completing a 26.2 hour dance marathon, but also the elated happiness of being to help children in need. Gamma Eta’s Epsilon Colony, located at the University of Arkansas at Fort Smith, recently held a philanthropy project in the light of St. Patrick’s Day. The chapter’s local philanthropy is Prevention of Poverty, or what they craftily call POP!, and they also work side by side with The Community Service Clearing House and The Next Step Day Room.These lovely sisters had set up tabling around their campus in order to catch passersby for donations and also educate them on the BackPack Program. The BackPack Program ties with Feeding America and this program has been helping children with nutritional needs for 15 years. Today, more than 150 local food banks assemble bags of food for children and more than 230,000 bags are distributed every year. During the week of St. Patrick’s Day and the Chapter’s tabling, Jennifer Connell, the philanthropy chair, asked passing students to make a donation towards the program and some have told her that they were once recipients of the BackPack Program. Every donation made, the staff and students were given lion figurines, as per their mascot, and green bows, to avoid being pinched. The ladies also organized live music to be played that fitted the St. Patrick’s Day theme. 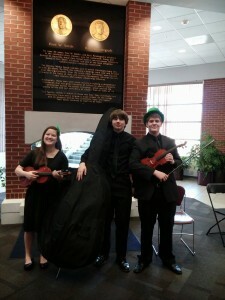 The traditional Irish songs were played by a violinist, a violist, and a cellist and who are students from Southside High School. Over the course of their three day event, the lovely ladies raised $200 for the BackPack Program. 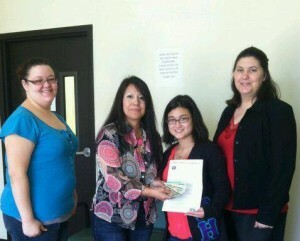 It may just seem like a few nickels to you, but to the ladies of Gamma Eta’s Epsilon Colony, your change was valuable. The change in your pocket became the change that helped a child in need. The lovely ladies of Gamma Eta’s Alpha Chapter have been busy bees lately by planning their 9th annual Lupus Awareness fashion show that will end the semester with a bang. This year’s theme is entitled, “Beats Building Hope”. According to the event’s Facebook page, their goal is to bring “a music festival experience by focusing on four popular genres of music: pop, hip-hop, techno, and latin; and creating a colorful representation of each style through clothing.” Talk about diversity! But first, let’s get educated on what lupus is. Lupus is an autoimmune disease. Autoimmune means your immune system cannot tell the difference between foreign invaders and your body’s healthy tissues and creates autoantibodies that attack and destroy healthy tissue. These autoantibodies cause inflammation, pain, and damage in various parts of the body. Lupus is also a disease of flares and remissions. Lupus is not contagious nor is there a cure for it. There are, however, treatments that can be taken in order to control lupus. What Are The Common Symptoms Of Lupus? A doctor who is considering the possibility of lupus will first look for signs of inflammation which include pain, heat, redness, swelling, and loss of function at a particular place in the body. Inflammation can occur on the inside of your body (such as your heart or kidneys), on the outside (such as your skin), or possibly both. Lupus is known in the medical field as the “great imitator” solely because the symptoms of lupus mimics many other illnesses. Before a doctor diagnoses a patient with lupus, they carefully evaluate and review your current symptoms, your laboratory test results, your medical history, and the medical history of your immediate family members. Become a part of the movement and model for a cause. With just five dollars, you can support the cause and walk down the runway with a purpose. With your help, and the help of the lovely ladies of Gamma Eta’s Alpha Chapter, the world can be one fashion show closer to discovering a cure. Xong Lor grew up in Saint Paul, Minnesota and moved to Arkansas in 2004. 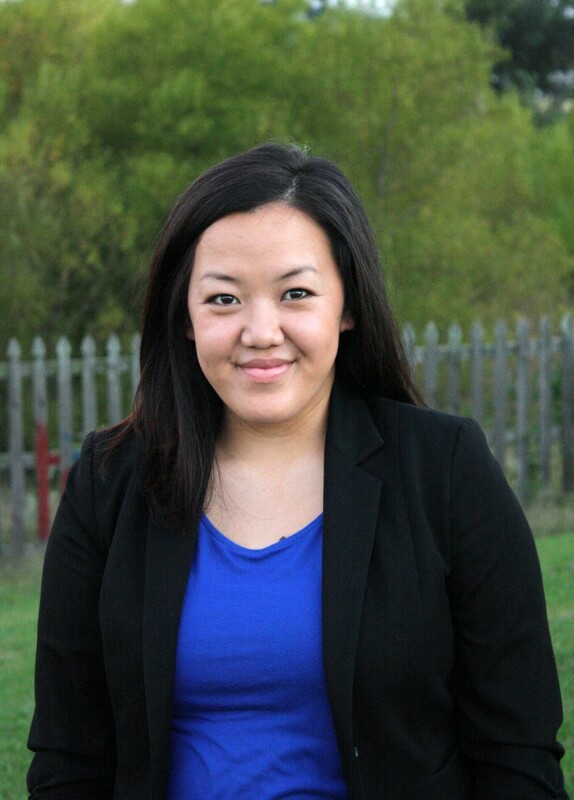 Despite being a first generation college student, Xong quickly learned the ropes and became Vice President of the Hmong Student Organization at the University of Arkansas. 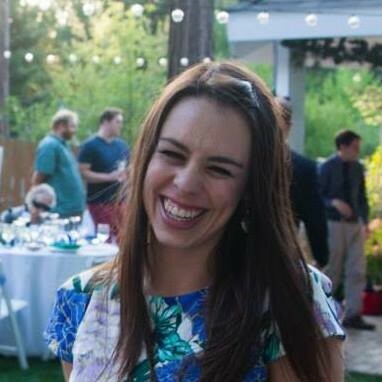 It was her leadership experience in this position that eventually led her to Gamma Eta in Fall of 2008. She currently works as an Academic Advisor for Talent Search, a U.S. Department of Education Program, at the University of Arkansas. Xong makes a difference by helping first generation and low income students get into college, which she loves. Because of her passion for Gamma Eta, she is the Advisor for Gamma Chapter, President of the Northwest Arkansas Alpha Chi Delta Alumnae Chapter and National Vice President of Gamma Eta Sorority, Inc. This busy woman plans on returning to school in the fall to pursue her Master’s Degree in Higher Education, through her passion of working with students and making a difference. In her free time, Xong loves crocheting, sports and is starting to take on running races. Say you unfortunately couldn’t work in education. What other profession would you pursue? Architecture, probably. I’ve always been passionate about art and I enjoy traveling. [Architecture] is not really something that I see myself doing as a job, but I’m still interested. I did take Intro to Architecture in college, but it was unfortunately too late for me to change my major. What is the hands-down best moment you’ve had with your students? I went to Washinton, D.C. to be a counselor for the National Student Leadership Congress and was assigned to students I didn’t know at all. Their diversity was the most memorable part about the experience. I had kids from Guam, Denver, Arkansas, California. I really mean diverse across the country. I enjoyed working with every single one of them. A majority of them hadn’t been to Washington, D.C. (neither had I), so we were all excited about exploring. We talked a lot about different issues in society and they learned about how Congress works. Each group in the program talked about a different topic and presented it. My team talked about lowering the voting age to 16. I never had met these kids before, and after 8-9 days with them, I’m closer with them than some of the kids that I work with! I still talk to them to this day. How did your first-generation/low income background color your experience in college? I think it made me want to try harder. Everyone has their own experience. Being low income does affect our education. I had to deal with problems that typical students didn’t deal with. It was harder for me to get what I wanted, but in the end I became a hard-worker. Parents always want you to do better than them, and that was my mindset of going into it. How do you balance all your leadership responsibilities? I’ve always been busy. It’s just a lot of time management and learning how to say no sometimes. Honestly, being organized and learning how to delegate is also important. For me, I just think if you plan well and know your priorities you’ll be fine. I’ll set a day for Gamma Eta, for example. I love being busy and I don’t let it bother me. I’m really good at time management. Who inspires you to grow? My dad, I’m a daddy’s girl. He grew up without a dad, so my grandma has been a single mother for many years. He’s always the one who has supported me more. In my culture, there’s more stress on the girls. He took the extra step to allow me to do what I wanted to do. He worked hard for everything. What inspires me is that he comes from a background that doesn’t have an education. Having that type person around in my life that supports me is great. I am the way that I am because of him. What are you hopes and dreams for the Gamma Eta in the future? My dream is to be bigger. My hope is that we really understand the Unity and Sisterhood aspects of the organization. I see that we can grow. Building the passion for the organization to get people excited with what they’re doing is also important. When was the moment you think you unlocked your potential? I think joining Gamma Eta made me more confident. Never in a million years did I ever think I would go outside of the box and, when I reached my true potential, I learned how to lead, organize, and plan from Gamma Eta. When I finally put my resume together to look for a job, I looked at my resume and I was shocked at how competitive it looked. Gamma Eta has connected me everywhere. What’s your most memorable GH moment? Woodser 2012 because I’m a nerd and love nature and camping. Usually Woodser is stressful because we have to plan for it and everyone gets stressed out and mad. That year was so much fun! It was a moment where I saw everyone coming together again and having fun. What is the craziest crocheting project you’ve ever made? I made baby cowboy boots! My friend recently had a baby and she loves cowboy boots. 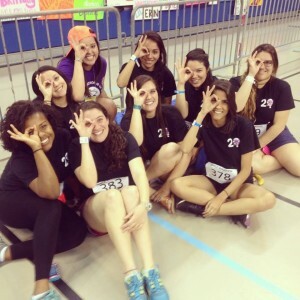 Gamma Etas are born leaders and Nicole Mujica-Pellon is no exception. A previous National President, Nicole is now Chapter President of the Alpha Chi Alpha Alumnae Chapter in Miami. She ensures that the chapter is active and engaged in the sisterhood. Most recently, AXA came together to form a gift basket to give to Dance Marathon undergraduates at Alpha Chapter. A chapter is only as good as its leadership, so we are very grateful to have Nicole and AXA leading by example.